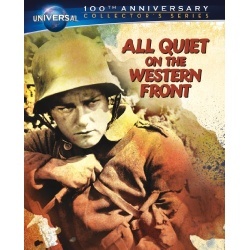 Relive the drama, conflict and power of one of the most influential anti-war films ever made - All Quiet on the Western Front. Universial's first Best Picture Academy Award winner is now available in its original glory with a digitally remastered picture restored by the Library of Congress. Follow a group of idealistic young men as they join the German Army during World War I and are assigned to the Western Front, where their patriotism is destoryed by the harsh realities of combat. The hard-hitting, timeless masterpiece returns with stunning visual enhancement to its deserving place in film history!